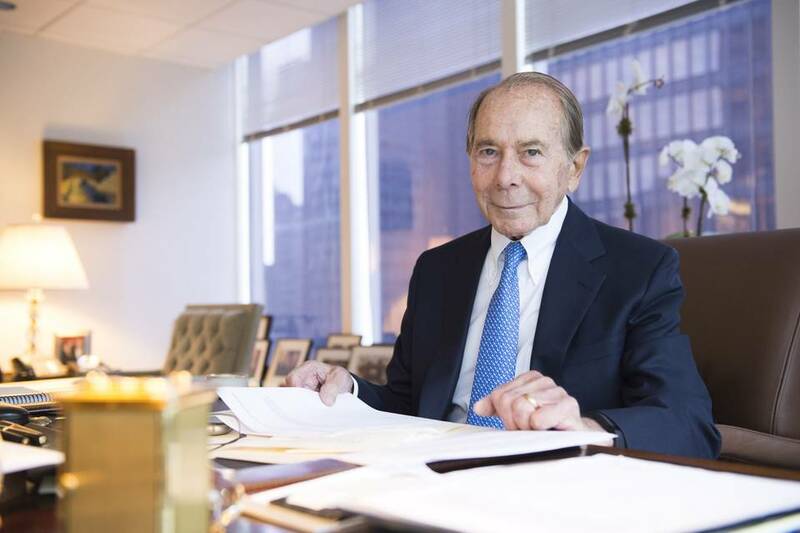 Nearly seven years after the government’s 2008 takeover of American International Group Inc., Maurice R. “Hank” Greenberg won an unlikely victory in his legal crusade against U.S. authorities. But the former AIG chief and thousands of shareholders who joined his action didn’t win any of the $40 billion in damages they had sought. Judge Thomas C. Wheeler ruled Monday that the government violated the law when it took a controlling stake in AIG in 2008, the most dramatic stretch of the financial crisis. Still, he accepted the government’s arguments that without a Federal Reserve bank’s $85 billion loan to AIG, the company would have filed for bankruptcy and shareholders likely would have been left with nothing. “The government’s unduly harsh treatment of AIG in comparison to other institutions seemingly was misguided and had no legitimate purpose,” Judge Wheeler of the U.S. Court of Federal Claims wrote in his opinion. Judge Wheeler’s opinion could cast a shadow over the government’s role in any future financial crisis, lawyers and other legal observers said. “It’s a harsh lesson for the government to think twice about interfering in the private sector and the free market,” Anthony Sabino, a professor of law at St. John’s University, said Monday. Mr. Greenberg brought the suit in 2011 alleging the government had cheated shareholders when it demanded a 79.9% equity stake as part of the loan agreement. At the heart of the case was a dispute about the breadth of the Fed’s powers and the limits on the central bank’s discretion during the financial crisis. The ruling follows a bench trial last fall that featured a parade of high-profile witnesses, including former Fed Chairman Ben Bernanke and former Federal Reserve Bank of New York President and Treasury Secretary Timothy Geithner. It is the latest big case for Mr. Greenberg’s lawyer, David Boies, who is widely regarded as one of the best trial lawyers in the country after successfully litigating an antitrust lawsuit for the U.S. government against Microsoft Corp. MSFT 1.54 % in the late 1990s. Early in the case, many legal observers anticipated an easy win for the government. In the trial, Mr. Boies used internal emails, memos and other documents to show uncertainty and debate within the Fed and New York Fed as to whether the government was on solid legal footing in acquiring the AIG equity stake. Mr. Bernanke appeared visibly annoyed at times during his time on the stand, often giving one- or two-word answers to Mr. Boies. The negotiations over AIG’s rescue had taken place in the wake of a whirlwind weekend during which the government decided to let Lehman Brothers Holdings Inc. fail. At the time, U.S. officials said the government acted because AIG was so entangled with other firms around the world that they feared the insurer’s collapse would be catastrophic to the global financial system. AIG had sought government aid as capital markets froze and it couldn’t meet collateral calls. Its problems largely stemmed from sales of an unregulated type of insurance to protect Wall Street firms and banks from losses in holdings of mortgage bonds, as well as its own investments in such bonds. A spokeswoman for the Justice Department said it is “reviewing the court’s decision.” Mr. Greenberg’s office referred comment to Mr. Boies’s office, which didn’t respond to a request for comment. Either side could appeal the ruling. In justifying the equity stake, the government cited language in a 1930s-era law that gave it the power to make a loan to a nonbank subject to certain conditions that it said included taking a stake. The government had argued that taxpayers needed extra compensation for risks in a loan to a company in an unfamiliar industry, given the Fed historically regulated banks. It also stressed that AIG’s board had approved the transaction. The fact that the government had to boost the original aid package by $100 billion to stabilize AIG attested to those risks, it said. AIG by the end of 2012 had fully repaid the bailout, which reached nearly $185 billion at its peak, by divesting many units and returning to profitability in its core property-casualty and life-insurance businesses. The government earned a profit of $22.7 billion. Public-policy, corporate-governance and legal scholars said Judge Wheeler’s opinion could have ramifications for how government officials interpret the voluminous Dodd-Frank financial-overhaul law, which was enacted in 2010 and provides for the orderly winding down of systemically important firms, among other things. Most notably, it could make them skittish of taking bold actions that aren’t specifically detailed under the law. The Fed’s own powers and discretion already have been curtailed by Congress. The Dodd-Frank law restricted it from bailing out any individual institution, as it did in the case of AIG. Judge Wheeler wrote in his ruling that “the weight of the evidence demonstrates that the government treated AIG much more harshly than other institutions in need of financial assistance” and “publicly singled out AIG as the poster child for causing the September 2008 economic crisis,” though the “evidence supports a conclusion that AIG actually was less responsible for the crisis than other major institutions.” That was a central plank of Mr. Greenberg’s case. Mr. Greenberg built AIG into a world-wide powerhouse over nearly four decades before departing in 2005. Starr International Co., a firm he heads, was AIG’s largest overall shareholder in 2008. Mr. Greenberg, who turned 90 years old in May, is building a new insurance conglomerate. AIG’s bailout has always been controversial, but largely because the public saw it as too generous. Many taxpayers and politicians complained about the lifeline to a big corporation in the wake of the bursting of the real-estate bubble when millions of homeowners were losing their homes in foreclosure proceedings. The ruling comes as the Fed already has suffered setbacks. Some lawmakers are trying to further restrain the central bank’s emergency lending powers and they are exploring other ways to hold it more accountable to Congress, including by subjecting it to audits by the Government Accountability Office, a congressional watchdog agency. —Jon Hilsenrath contributed to this article. Posted on June 16, 2015, in Postings. Bookmark the permalink. Leave a comment.